At Fast & Retro they offer a wide selection of classic American, collector and muscle cars. 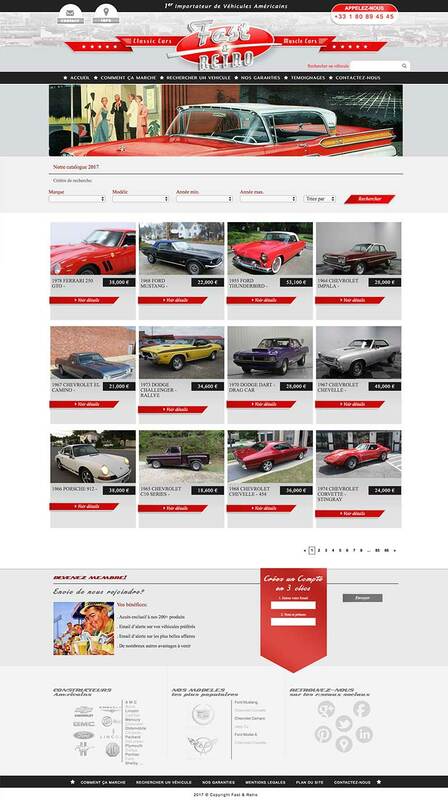 They have more than 1000 classic cars that are updated daily. Fast & Retro has built lasting relationships with the world's best-known car shipping companies to ensure fast and reliable delivery of your vehicle. CodeMedia 360 developed an entire software solution around Fast and Retro's business logic. Dealing with thousands of listings a day our CMS platform gives the client a reliable and efficient way to manage their online business.